never feels more comfortable than three minutes before my alarm goes off. The sheets are the perfect temperature. My body has conformed itself perfectly to the mattress. I’ll lie there, in the 8 minutes between snoozes, wondering why I would ever climb out of this womb and into the harsh day. Somehow, I force myself to stand up. The day begins. If I could live in the shower, I would. Warm water in a closed, safe environment. Frequently the length of my shower is determined by how long the hot water lasts. I give birth to most of my ideas in the shower. Another womb, that I hate to leave. Somehow, I dry myself off. It’s messy, but it’s mine. That 30 minute commute is me time. I listen to books on tape. I think. Sometimes I pray. I may be traveling 75 mph, but inside my car, I’m cozy. Comfortable. I pull into the parking lot and take a deep breath. Yet again, another womb I hate to leave. It’s a nice office, with a desk and a table and a closet. It’s about as messy as my car, but it’s mine. I plop down in my chair and check my e-mail. I feel at home here. But I can’t stay in this womb, either. I have meetings to attend, events to plan, visits to make. So I step out onto the street, and make my way downtown. There’s no buffer between me and everybody and everything. No separation between me and buildings and cars and trees. And then I hear one tree in the parking lot across the street. yet again in the presence of God. The world is a womb. 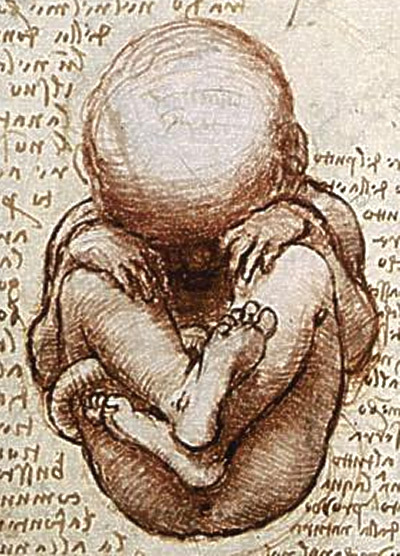 What will God give birth to today? When it comes to lying from the pulpit, I’ve heard some doozies. I’m happy to say I’ve avoided most of the big ones, but I must confess I’ve told a few of my own. This has to be my most common lie from the pulpit. Whatever I’m preaching on that Sunday, that becomes the most important aspect of Christianity. The Truth: I don’t know what’s most important. Love? Jesus? The Kingdom of God? Discipleship? It all seems really important to me. The Verdict: It’s all connected, all related, and all… important. So I’ll probably keep telling this weekly white lie. An easy way to make a sermon come alive is to point out how much we have in common with the characters in the Bible story. The Truth: Moses had a difficult life filled with more conflict than we’ll ever see. Paul wrestled with his faith far more vigorously than most of us ever will. And Martha? She’s gotten 2000 years of grief because she lost her cool at a dinner party! The Verdict: Yes, there’s a bunch we have in common with Bible folks. We can learn a lot from that. But their world was not just like ours. It was very different. We can learn a lot from acknowledging that, too. I just have to come clean on this one. ve an ending yet. Remember, I’m not just worshipping, I’m working. The Verdict: I’m almost always happy to be at church. But on those rare days when I’d rather be at home in my pajamas, my hope is that you’ll never know. I’m gonna lie. It’s my job. This one’s tough, because when I say it, I’m not just lying to the congregation. I’m lying to myself. The Truth: We probably won’t. Didn’t Jesus say, “The poor you will have with you always”? It doesn’t mean we shouldn’t fight poverty and injustice. It means real, lasting change in this world is a rare thing. The Verdict: The world has already changed because of Jesus Christ. Sometimes we make big changes, sometimes we just get by. Always we’re asked to be faitfhul. It doesn’t sound as glamorous, perhaps, but it’s more truthful. Whew. It feels good to get those off my chest. I’ll keep them in mind the next time I preach from the pulpit. 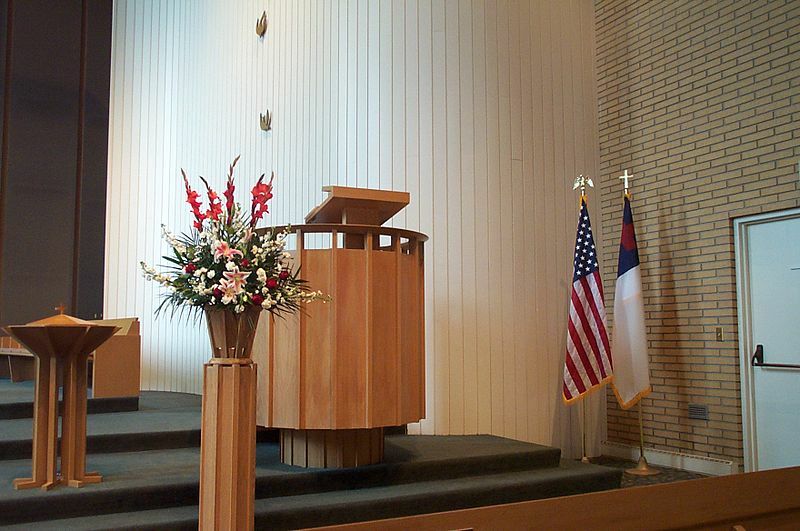 I haven’t preached from a pulpit in years.